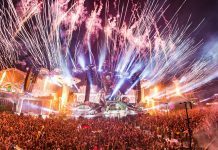 Tomorrowland’s brand new radio station, One World Radio, that stretches the entire outreach of the globe has finished its top 1000 countdown of tracks that have ever blasted the airwaves of the fable-like event. The countdown came from a voting period that was open for fans from around Planet Earth to weigh in on the best of the best from all of the events combined. The masterminds behind the glorious Tomorrowland festival would like to thank the People of Tomorrow for contributing their voices to the countdown while weighing in on the competition. 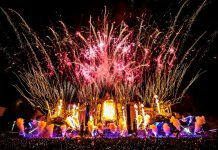 Legendary DJs and producers filled the top slots by the likes of artists Swedish House Mafia, Dimitri Vegas & Like Mike, Knife Party, Armin Van Buuren, Oliver Heldens, Hardwell, Afrojack, Deadmau5, Nervo, Yellow Claw, Kygo, Jauz, and many more. 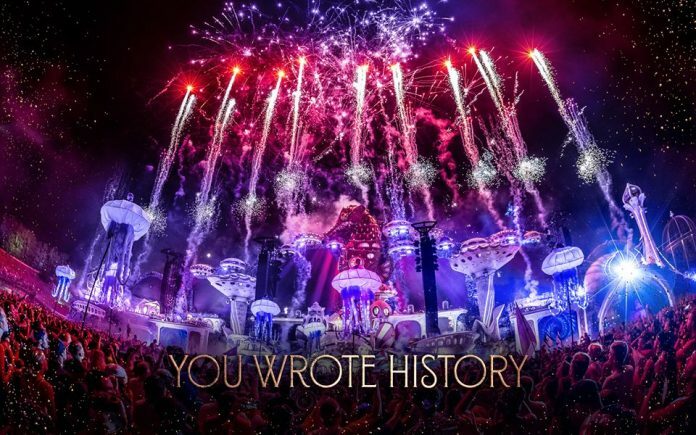 There was not a dull moment during the countdown, as Tomorrowland brought the heat over the airwaves for the race to number one. According to the voting voices, the unadulterated heavyweight champ of the running is the powerhouse trio Swedish House Mafia, with their dynamite track “One”. 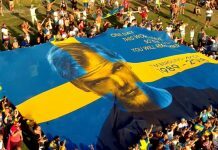 Dimitri Vegas & Like Mike‘s “Mammoth” came in second, while the dearly departed and late dance music sensation Avicii rounded up third place with his worldwide acclaimed and dance floor rocking “Levels”, RIP Tim. For those that missed the countdown, there is nothing to worry about. Check the full 1000 track countdown here and listen to the top 100 below. Tomorrowland wants to remind the party people and music lovers out there that One World Radio is up and running 24/7 and is always in the mix. We love you back Tomorrowland, thank you for all the adventures and fantastic tunes over the years, as well as for the sick 1000 track countdown.